Think of bookshops in this country today. http://www.jillrutherford.co.uk/wp-content/uploads/2018/06/logo-for-jill-rutherfordV13-1.png 0 0 Jill Rutherford http://www.jillrutherford.co.uk/wp-content/uploads/2018/06/logo-for-jill-rutherfordV13-1.png Jill Rutherford2012-12-19 14:00:402018-05-11 11:21:32On Sale in Japan! My Book On Kindle At Last! 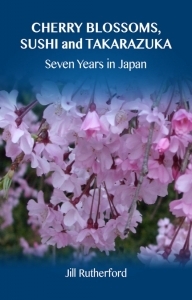 My book, Cherry Blossoms, Sushi and Takarazuka, Seven Years in Japan, is now on Kindle – only a year or so later than it’s paperback publication. http://www.jillrutherford.co.uk/wp-content/uploads/2018/06/logo-for-jill-rutherfordV13-1.png 0 0 Jill Rutherford http://www.jillrutherford.co.uk/wp-content/uploads/2018/06/logo-for-jill-rutherfordV13-1.png Jill Rutherford2012-12-05 17:04:002018-05-11 11:22:27My Book On Kindle At Last! As you can guess, I am not a blogophile. It’s been a long time since my first blog, sorry about that for any of you who are interested! 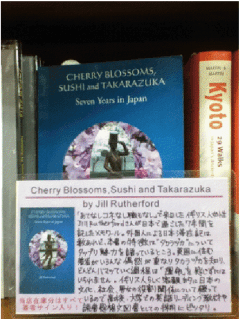 http://www.jillrutherford.co.uk/wp-content/uploads/2018/06/logo-for-jill-rutherfordV13-1.png 0 0 Jill Rutherford http://www.jillrutherford.co.uk/wp-content/uploads/2018/06/logo-for-jill-rutherfordV13-1.png Jill Rutherford2011-06-22 15:13:552018-05-11 11:23:27Catching Up!